In December 2010, Professor Tim Noakes was introduced to a way of eating that was contrary to everything he had been taught and was accepted as conventional nutrition ‘wisdom’. Having observed the benefits of the low-carb, high-fat lifestyle first-hand, and after thorough and intensive research, Noakes enthusiastically revealed his findings to the South African public in 2012. The backlash from his colleagues in the medical establishment was as swift as it was brutal, and culminated in a misconduct inquiry launched by the Health Professions Council of South Africa. The subsequent hearing lasted well over a year, but Noakes ultimately triumphed, being found not guilty of unprofessional conduct in April 2017. In Lore of Nutrition, he explains the science behind the low-carb, high-fat/Banting diet, and why he champions this lifestyle despite the constant persecution and efforts to silence him. He also discusses at length what he has come to see as a medical and scientific code of silence that discourages anyone in the profession from speaking out against the current dietary guidelines. Leading food, health and medical journalist Marika Sboros, who attended every day of the HPCSA hearing, provides the fascinating backstory to the inquiry, which often reads like a spy novel. Lore of Nutrition is an eye-opener and a must-read for anyone who cares about their health. 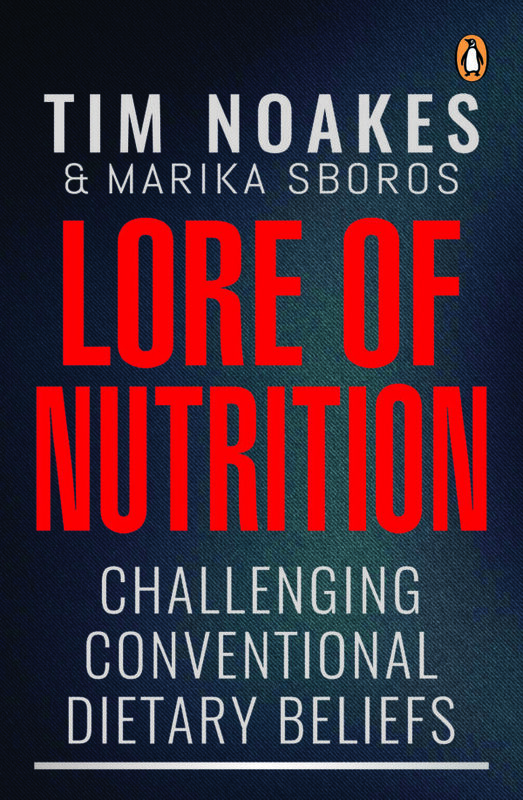 The proceeds from the sale of the book will be donated to The Noakes Foundation to facilitate further research into the low carbohydrate eating science. Books available in most major bookstores, or online on Amazon.